Seven of the forty-five in custody are women who are all detained in Boossa. Family members and representatives of the International Committee of Red Cross (ICRC) have been granted access to the women and have reportedly seen for themselves the conditions under which the suspects were being detained. Among the women being held is Sharmila, the wife of Gobi. The woman had a miscarriage in Trincomalee on January 30 2014 when her seven month old pre-mature baby was delivered still-born. This miscarriage happened several weeks before Sharmila was arrested in March and not during detention - as alleged by some non –governmental organisations. One of the women being presently detained is a 64-year-old widow from Chettiyarkurichchi, Poonagary in the Kilinochchi district. The woman whose name is Pathmaavathi Mahalingam was arrested after the tiger trio of Theiveegan, Appan and Gobi were killed. According to authoritative security sources the woman had allegedly pretended to be the mother of Theiveegan, the mastermind behind the current tiger revival attempt, in a deceptive ruse to provide him a cover. Apparently a house in Koomaankulam in Vavuniya had been purchased last year as a safe-house by Theiveegan. The house had been bought for one million two-hundred and fifty thousand rupees (1.25 million) in the name of Pathmaavathi Mahalingam. 34-year-old Theiveegan whose real name is Suntharalingam Kajadeepan and another 25-year-old young woman had posed off as Pathmaavathi’s children. The three had been living together in the house pretending to be one family. The young woman who had been using the nom de plume Sashikalaa had left for India in November 2013. Investigations have revealed that she went by air from Katunayake to Chennai. Sashikalaa’s real name is Vathsala Sahadevan. She is from Vandhaarumoolai in Batticaloa and was born on October 23 1988.Vathsala alias Sashikala is suspected of being a former member of the LTTE. Pathmaavathi Mahalingam who lost her husband in 1998 had got involved in this deception due to pressure from one of her sons living in Switzerland. Apparently two of her sons had been members of the LTTE. One son named Thileepan was reported missing in action during the war and is presumed to be dead. According to Padmaavathi it was her son Aingaran from France who had telephoned and asked her to help Theiveegan who was using the alias Thevan while interacting with her. Aingaran is an active functionary of the LTTE in France. The old mother said she could not deny her son’s request and so had acted as Theiveegan’s mother. She has stated that she had done so only to help her son’s friend and had no knowledge about the plot to revive the LTTE. Theiveegan had used the Koomaankulam house which was a 15-minute drive from Vavuniya town, as his residence. He used to travel about and be absent from home for many days. When he travelled to the East Theiveegan would be accompanied by Vathsala alias Sashikala who was from Batticaloa. Theiveegan had a ‘Hiace’ van of his own. This vehicle also has been recovered from a garage in Thirunelvely in Jaffna after Theiveegan was killed. Theiveegan though resident in Koomaankulam had not used the house for any open LTTE revival activity. Instead he used a business establishment by the Vavuniya bus stand for such purposes. This was a store mainly selling sports goods and equipment. The establishment called “Tata Sports Corner” also provided computer and photocopying services. Telephone calling cards were also sold. Theiveegan using the name Theivan used to frequently visit “Tata Sports Corner” and communicate through computer and telephone from there. He also met people there. “Tata Sports Corner”was owned and managed by a teacher from Jaffna named Amirthalingam Thileepan. He had come to Vavuniya in 2005 and had been teaching at several different schools over the years. He had begun the sports store as a sideline and used his influence as a teacher to sell products to school children. Thileepan apparently knew fully well that he was being used as a cover by Theiveegan and fled before he could be arrested. He had left the country for India by air on April 5 this year, using the passport N 0919916.The business has now been sealed. As investigators relentlessly tracked down people involved in the attempt to revive the LTTE it became crystal clear that the powerful dynamo behind the entire exercise was neither Gobi nor Appan but Theiveegan. Uncovered evidence indicated that the highly motivated man had pursued his mission of reviving the LTTE with extraordinary zeal. Theiveegan’s brother is living in Britain and Theiveegan had stayed with him there. Though he had the option of leading a safe, comfortable life abroad Theiveegan had chosen to return and try reviving the LTTE. Theiveegan’s real name is Suntharalingam Gajatheeban. Theiveegan (whose name is also spelled as Deiveegan) was born on May 23, 1979. He is from Manthuvil in the Thenmaratchy division of the Jaffna district. He joined the LTTE voluntarily in 1995. Among his many nom de guerres and nom de plumes are Theiveegan, Theivan, Navaneethan, Vallan and Devan. He served a long time as a bodyguard of LTTE Leader Velupillai Prabhakaran and wife Mathivathani. He has also obtained a piloting licence and participated in air strikes by the LTTE air wing ‘Vaanpuligal’. Theiveegan has reportedly been involved in the aerial attacks on Kolonnawa/Kerawalapitiya and Saliyapura, Anuradhapura during the war. Theiveegan is also a suicide cadre who took the Black Tiger oath. He has served in the LTTE intelligence division, the military intelligence division and the elite Radha regiment. He had been a trainer of new cadres too. In 2009 February, Theiveegan was asked to relocate from the beleaguered Karaithuraipatru maritime zone in the Mullaitheevu district by Radha regiment chief Ratnam Master. He was sent to the Nedunkerni jungles on a top secret assignment with the consent of LTTE leader Prabhakaran. The assignment was to lay the groundwork in setting up a secret base in the Nedunkerni jungles for LTTE supremo Velupillai Prabhakaran to relocate clandestinely. The idea was for the Tiger leader to move to the East from there and go abroad if necessary. Among the plans in the pipeline was an idea to fly Prabhakaran out by air. Since Theiveegan was both a trained pilot and trusted lieutenant, he was apparently entrusted responsibility for the task. Such an eventuality never did happen. Prabhakaran found it impossible to penetrate the security cordon and break out from the littoral strip that he was confined to and find safety in the Wanni hinterland. As is well known the LTTE supremo and most of his senior commanders were killed. Meanwhile Theiveegan waited in the Nedunkerni jungles for his leader to arrive. It was during this period that Theiveegan became familiar with this jungle terrain. That was why he was to return to the area five years later with his comrades Gobi and Appan and seek refuge in the familiar jungles. Ultimately he met his end there. After the war ended in May 2009, Theiveegan went to Mannar and went clandestinely by boat to India. He established contact with Nediyavan in Norway and moved to SouthEast Asia. Thereafter he went to Europe and shuttled among many different countries. He then returned to India and was placed in charge of operations in India and Sri Lanka by the Nediyavan group. However Theiveegan enjoyed a cordial relationship with the Vinayagam group also. Theiveegan is believed to have been moving back and forth between India and Sri Lanka on a false passport or by using clandestine ‘country’ boats. "The first was in Trincomalee. On March 17 2012 the body of a Tamil youth with his throat slit, was discovered at Periyakulam. A handwritten note saying “death to traitors” and a small LTTE flag with the tiger emblem was placed by the side." It is now learnt that Theiveegan himself had taken the initiative to plan a revival of the LTTE. He had met many LTTE members, activists and supporters in Europe and solicited their support for his LTTE renaissance project. In a rare feat of tactful diplomacy, Theiveegan had managed to enlist the support of both Perinbanayagam Sivaparan alias Nediyavan as well as Sekarampillai Vinayagamoorthy alias Vinayagam for his project. Though both the LTTE factions headed by Nediyavan and Vinayagam were at loggerheads with each other they had sunk their differences in extending support to Theiveegan. More importantly Theiveegan had been able to form his own core group in Europe to provide coordinated logistical support to the tiger revival project executed by him in Sri Lanka. A loose committee of fifteen persons was set up for the project. What has astounded Sri Lankan security circles is the fact that the lynchpin of this 15-man committee is a senior Tiger leader who managed to escape from Sri Lanka in July 2009. Senior LTTE leader Dayamohan who served as the Eastern political commissar for Batticaloa and Amparai districts escaped to Malaysia after the war ended in May 2009. Dayamohan who did not support the Eastern revolt led by former eastern regional commander Vinayagamoorthy Muraleetharan alias “Col” Karuna became eastern political commissar after the Karuna faction was routed militarily by the mainstream LTTE. Dayamohan as political chief was easily accessible to the media and had a positive public image during his tenure. Another point in this respect is that there have been other attempts before to revive the LTTE in Sri Lanka. The LTTE revival attempt spearheaded by Suntharalingam Gajatheeban alias Theiveegan, Navaratnam Navaneethan alias Appan and Ponniah Selvanayagam Kajeepan alias Gobi was not the first of its kind to be detected after the Tigers were decisively defeated in the Mullivaaikkaal region of Mullaitheevu district in May 2009. The latest exercise was certainly the strongest and most serious attempt to revive the LTTE but it was not the first. It was the third known attempt. Two suspected attempts were detected earlier about which very little details are available. Both such attempts were detected in 2012. The first was in the Trincomalee district of Sri Lanka. On March 17 2012 the body of a Tamil youth with his throat slit, was discovered at Periyakulam in the Kuchaveli region of Trinco district. The dead person was Velayudhan Ragunathan alias Muthu a member of the Eelam Peoples Democratic Party (EPDP) led by Cabinet minister Douglas Devananda. A handwritten note saying “death to traitors” and a small LTTE flag with the tiger emblem was placed by the side. The Sri Lankan state reacted in a state of panic. An intensive search-and-arrest operation was conducted in the Trincomalee district. Over 200 youths from both sexes were arrested. 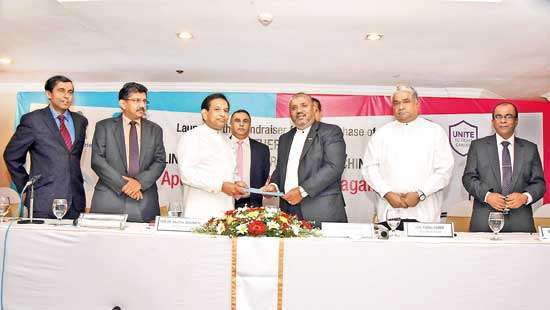 Almost all of them were ex –LTTE cadres who had surrendered and been rehabilitated. Some former Tigers who had not been rehabilitated were also discovered and detained during the round up operations. They were sent to the Protective Accommodation and Rehabilitation Centre (PARC) at Welikanda for rehabilitation. Information gleaned through interrogation of arrested persons sent alarm signals through the defence establishment. Further interrogation and investigation revealed information about an attempt to revive the LTTE in Sri Lanka with backing from tiger and pro-tiger elements from the global Tamil Diaspora. It was learnt that a tiger operative from France named Kamalanathan Sadheeshkumar had arrived in India in November 2011. He had gathered some ex-Tiger cadres living in Tamil Nadu state and organised clandestine meetings aimed at reviving the LTTE. Sadheeshkumar alias Kumaran is yet living in Paris and working under the leadership of Segarampillai Vinayagamoorthy alias Vinayagam who heads the “headquarters group” faction of the overseas LTTE. Kumaran had recruited fifteen members in Tamil Nadu and divided them into three cells comprising five members each. Members from one such cell were sent to Trincomalee on March 6, 2012.The objective was to carry out executions in the Trincomalee district. The killing of Ragunathan alias Muthu on March 17 was the first in this plan. According to unconfirmed reports, Theiveegan may also have been involved in this plot. 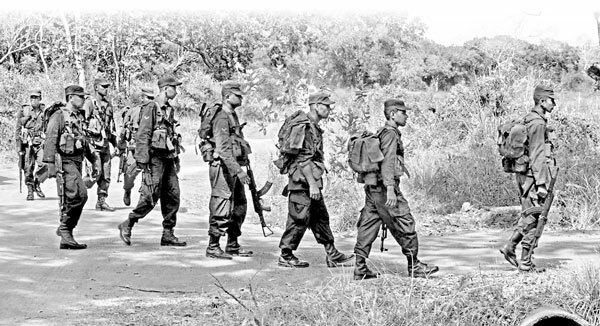 The excessively hard crackdown by the Sri Lankan state saw this LTTE revival pilot project going awry. While a few of the cell were arrested the others fled back to India. The widespread round-ups in different parts of Trinco district and resultant mass arrests caused much alarm in the community. The Tamil National Alliance(TNA) which has the most number of Sri Lankan Tamil MP’s from the Northern and Eastern provinces protested vehemently against the large-scale arrests. Two Parliamentarians from the TNA met with Defence Secretary Gotabaya Rajapaksa in this regard. Gotabaya explained what had happened and informed the TNA of the revival attempt. He even offered to play recordings of purported telephone conversations between suspects in Sri Lanka with Diaspora elements. The Defence secretary assured the TNA that the bulk of those arrested would be released in due course. The TNA went back apparently satisfied. Within a few days most of those arrested -except for a handful - were released. Further investigations led to the arrests of six more youths in Jaffna who were suspected of having links to the Tamil Nadu Tiger network. Two of the six were former women Tigers who had been released after undergoing rehabilitation. Subsequently the arrested suspects except for two were released. More information was garnered from the suspects in custody. The information revealed was shocking. According to the detained youths a clandestine campaign was underfoot in Tamil Nadu to recruit Sri Lankan Tamil youths sympathetic to the Tamil Eelam cause and indoctrinate them with extreme LTTE ideology. They were to be trained in electronics and explosives. The ultimate objective was to infiltrate the island and conduct explosive attacks against key installations and important individuals in Sri Lanka. The project was being financed by Tiger elements in Europe. 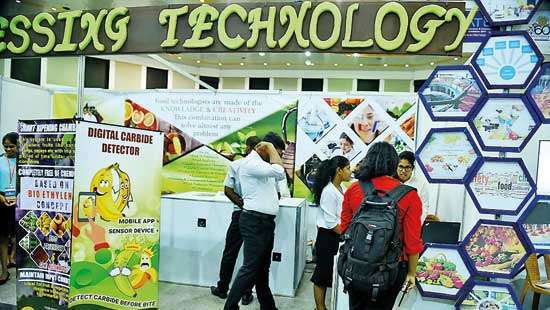 Sri Lankan officials conveyed this information quietly to their counterparts in India. Great care was taken to avoid information leaking to pro-LTTE politicians and officials in Tamil Nadu. A team of Police officers from the Tamil Nadu State Police Special Intelligence Unit known as the “Q”branch launched a sudden raid after nightfall on December 19 under the command of a senior deputy superintendent of Police. A house on Nallathamby street in Pammal near the Chennai suburb of Pallaavaram was surrounded and stormed by the Police contingent. Four occupants in the rented residence were arrested. They were S Suresh Kumar, D. Udaya Doss, T. Maheswaran and K. Krishnamurthy.At the time of their arrest in December 2012, they were aged 34,39,33 and 29 respectively. According to a news report published then in the “Times of India” an investigating officer said Suresh Kumar lost his legs in an explosion during the Eelam war and now moves around on a wheelchair. “Two of the men came to Tamil Nadu as refugees in 2001 and 2003, and the others as the war was in its final stages in 2009,” the officer reportedly said. As an electronics expert, Suresh Kumar headed an LTTE wing that made explosives. “He specialised in making electronic circuits,” the officer said. “We recovered two laptops, incriminating documents, wires, cables and electronic circuit boards and panels from the house.” Investigators said Krishnamurthy, who supplied water cans in the locality, befriended the Sri Lankan Tamils and took them to Suresh Kumar. The former LTTE operative trained them to make improvised explosive devices (IEDs) and electronic circuits for a variety of bombs. During questioning, the arrested men said. With Sri Lankan security sleuths uncovering details of a “Tamil Nadu Connection” in two different attempts to revive the LTTE in Sri Lanka there was much suspicion about the sinister motives of the Indian External Intelligence Agency the Research and Analysis Wing referred to as RAW. It was felt that RAW had a hand in these LTTE revival attempts. Against that backdrop the threat posed was also over estimated. News reports appeared in Sri Lanka about training camps being conducted for hundreds of tigers in Tamil Nadu with the blessings of the RAW. These were stoutly denied. Continuing interaction between Sri Lankan and Indian officials put to rest the paranoia over RAW in Sri Lanka relating to this issue. The greater part of 2013 saw Sri Lankan officials maintain constant vigil over a possible renaissance of the LTTE in the Island. No major development in that direction occurred. However the Northern Provincial Council Elections held on September 21, 2013 saw the TNA indulging in shameless glorification of the LTTE. 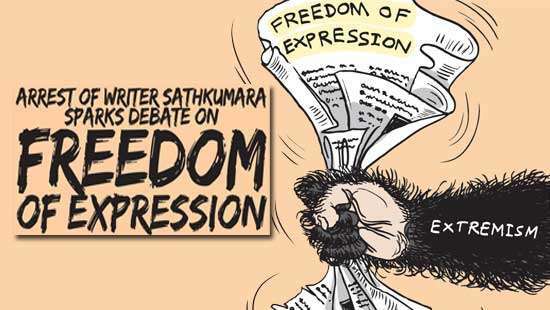 The political space opened up during the election campaign was utilised by tiger and pro-tiger elements to engage in overt and covert LTTE propaganda. The “Maaveerar Naal”(Great Heroes day) was observed annually by the LTTE on November 27 in the past. Public observance of the day ended in Sri Lanka after the military debacle of May 2009 in the Mulllaitheevu district. However, a few “Maaveerar Naal” posters were pasted in different parts of the North and East last year. Leaflets supportive of Tamil Eelam with coded references to the LTTE as “Kaaval Deivangal” (guardian deities), were distributed in some Northern towns by unknown persons early this year. With the UN Human Rights Council sessions being scheduled in March, a fresh set of pamphlets made their appearance in late February/early March this year. These pamphlets were basically critical of the military presence in the North and East and referred to Sri Lanka being condemned at the UN in Geneva. It drew attention to the “verdict” issued against Sri Lanka by the Permanent People’s Tribunal on Sri Lanka at Bremen in Germany in December 2013.The Tamil people were called upon to unite and strive under their “guardians” as the time was ripe internationally. These leaflets printed on A-4 size papers were very often pasted as posters during the night in Northern towns. When TID officials further interrogated both persons, more information was gleaned. It was found that both had been in the LTTE but had not surrendered. As such they had not been “rehabilitated”. One of the men was 34-year-old Kumarasingham Kulasankar alias Muhunthan. The other was 28-year-old Augustine Gnanaseelan alias Gnana. Kulasankar was originally from Serunuwara in Trincomalee district but had married in the Pallai and was living in Ithaavil. Gnanaseelan was from Swariyapuram at Silaavathurai in Mannar. What they disclosed during interrogation shocked the TID. Kulasankar said he was receiving Rs. 20,000 per month from LTTE circles in Switzerland to paste and distribute posters and leaflets. Gnanaseelan had also received some money and was to be further rewarded with a three-wheeler in due course. Besides revealing the identities of their contacts in Sri Lanka, the two arrested in Pallai told TID of a plan to revive the LTTE again in the country. They confessed that they were part of this network and had been recruited by an LTTE operative called Gobi or Kasiyan.